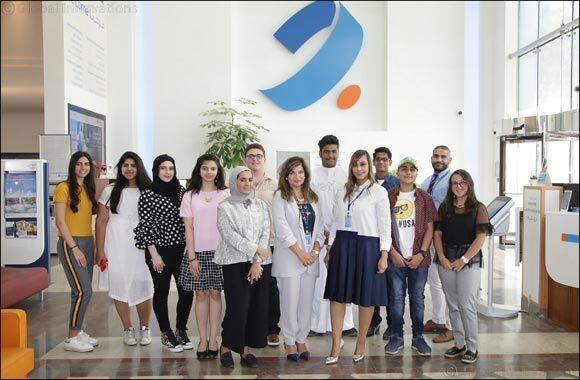 Kuwait- 25 August 2018: Burgan Bank, a sought-after career destination providing opportunities for young achievers to shine and progress, recently selected and trained 20 interns’ girls and boys from secondary school during the summer. Organized by Burgan Bank’s Learning and Development Center, the annual summer training program for the year 2018, was an extensive two week course that included both practical and theoretical training aimed at equipping the youth with the necessary skills to advance in the world of banking. Aside from other multifaceted and dynamic training exercises throughout the rest of the year, this ongoing summer educational initiative is centered on its corporate social responsibility to train high-caliber youth and facilitate their role in the Kuwaiti community as resourceful and efficient leaders. Burgan Bank remains committed to enhancing national talent by providing valuable exposure to internal best practices and insights into the modern aspects of banking as part of its long term objective to encourage more to join the private sector with special consideration to the banking and financial market after graduation. The bank is driven by its belief that capacity-building and mentoring projects at an early stage create seasoned and exceptional professionals. Through Burgan Bank's two-week summer program that was designed for the secondary school students, aged 15-19 years, the 20 interns benefitted from real life lessons through practical and theoretical knowledge-sharing by visiting the Burgan Bank branches. The field training was conducted under the supervision of the branch managers and staff, who also demonstrated the importance of team work, optimal level of customer service, different banking methods, ways to avoid possible issues and solution-driven methods. In line with its annual corporate social responsibility strategy, Burgan Bank believes that empowering today’s youth with a solid foundation in educational and first hand instructive experiences bridges gaps and makes them responsible members of the community. Likewise, reinforcing its mission to build strong leaders of tomorrow, Burgan Bank has showcased its support through sponsorship of other similar several initiatives held under the umbrella of Kuwait Projects Company Holding (KIPCO), which entails meeting changing demands with innovative educational platforms to provide modern day expertise, abilities and core competencies. Some of which were INJAZ-Kuwait, a private-sector driven non-profit NGO who with the help of qualified and dedicated volunteers works on developing and building business and entrepreneurial skills of private middle school, high school and university students. Followed by the Protégé program which is a mentorship program dedicated to training young individuals aged 16 to 24 years with a combination of new types of lectures, seminars and trips that encourages them to discover their passions and help them excel in their future careers with the necessary tools to cope with challenges, while also making a positive contribution to society. Additionally, the bank was part of the Tamkeen Youth Empowerment conference which invests and facilitates aspiring young entrepreneurs to start small and medium size enterprises and benefit from networking with other likeminded individuals as well as from the experience of established industrialists and economists. Burgan Bank will continue to be instrumental in meeting the youth’s needs and fulfil their integration into the Kuwait banking job market through aid of unique training programs that integrate intelligible, methodological and scientific learnings by seasoned banking professionals.